The wall paintings (upper palaeolithic eras) began as a medium of expression -a ‘story’ telling exploit. It was not a decorative art for a place, but a ceremonial craft in a space. The paintings were in deep caves as well as open sites. Bhimbetka, India, sites shows human occupation for more than 100,000 years, but earliest paintings on the cave walls here date back just 30,000 years ago. Upper Palaeolithic period began roughly around 40,000/60000 years ago and lasted through the Pleistocene ice age, which is believed to have occurred near 8,000 B.C. This period was marked by the rise of Homo sapiens and their ever-developing ability to create tools and weapons. The cave sites were difficult to access but were perhaps special and visited by several generations. The caves were deep and dark and artists worked with lamps and torch lights. The paintings were made on walls, ceilings and even floors. Many of the locations and surfaces were acutely irregular. Artists had to work in squatting lying position or use elaborate scaffolding to reach the heights. The scale of the job was stupendous. Deep cave paintings have survived, whereas open location paintings have generally been destroyed. 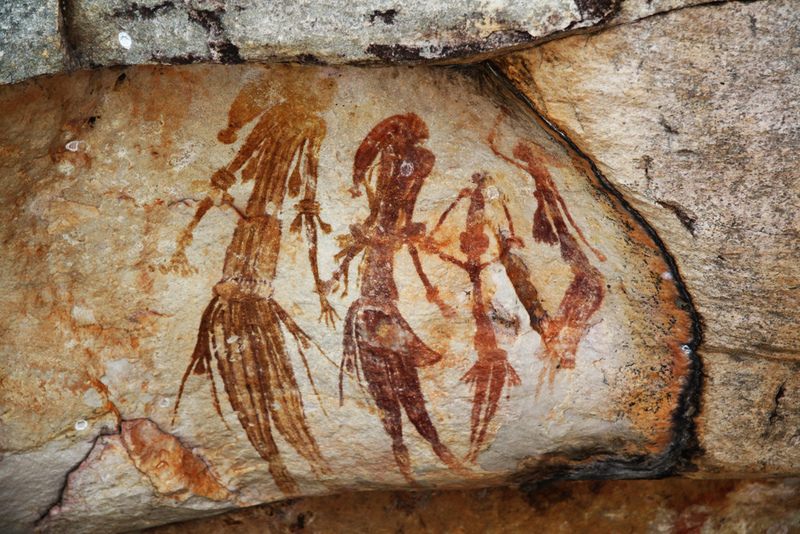 The cave art consists of simple impromptu works as well as grand executions. The first types were perhaps executed by amateurs or apprentices, and the second by masters. To sustain projects of such scale, the master artists were helped by a retinue of assistants and the community. The assistants helped in erecting scaffolding, preparing the surface to be painted, mixing colours, devising brushes and other colour application tools, feeding animal fats to lighting torches, provisioning food and water. The cave artists have shown very high degree of professionalism. The compositions, understanding of the animals’ anatomical details, animals’ form, dynamism and movement, all represent a keen sense of observation, experience and discipline. The limited choice of colours has been overcome by the masterly expression of form. There is consistent economy of line. The textural and tonal qualities do not represent the light and shade, yet suggest the depth through colour differentiation (recognizing the ‘grey tone value’). At places existing substrate textures have been exploited. The scale and distribution of objects within a composition do not follow a visual proportion system, yet prioritize the elements of the story. Wall painting began as a line drawing. Lines were frequently scrapped through a sharp edged tool. The etched lines perhaps helped in retaining the charcoal or soft stones rubbings. Such art works, as the primary responses were impressed on whatever interior or exterior surfaces that were available. However, it was realized that more permanent work can only be created in a protected space. The caves space and its environment stimulated a spiritual experience for the portrayal. The spaces must have been favoured by several generations, as some of the paintings have been modified repeatedly over thousands of years. The earliest works are refined compared to later works or modifications. There is nothing to suggest that the art was a setting of a ceremony. There is no depiction of a sacrifice, or a master of ceremonies like a priest, sorcerer or a witch-doctor. The paintings also have no images of the surrounding terrain or the vegetation of the time. The palaeolithic wall art consists of three main categories of subjects: animals, humans and signs (abstract or unexplained). The animal figures are the most detailed and naturalistic representations, but drawings of humans are rare and perfunctory. ‘In the case of Chauvet, predatory or dangerous animals dominate, while in Lascaux the main representations are of large herbivorous mammals’. At caves across various geographic locations the animals include: woolly rhinoceros, lions, bison, horses, aurochs, bears, reindeer, wisent, and giant deer and hyenas. At places species which were then extinct (as per the time dating technology), are also painted. Some of the most common species such as the reindeer do not find any representation, though bones have been found in the cave. The wall art also includes prints of spray painted hands, with abstract interconnecting lines. The abstract signs are said to be representing the perception of night skies, of stars etc. Some forms of visual effects of movement or vibrancy (experienced in limited illumination) were perhaps included by use of florescent dyes, and slightly shifted images. Wall art of upper Palaeolithic age in the early phase did not have any surface preparation except scrubbing off the loose particles and dust. Selected surfaces were away from flowing or leaching water. Early phase drawings were done in line work with charcoal, but compared to this the carbon black, a deposit over an animal fat burning lamp had better binding and colour saturation. Lines were also scratched or etched by a sharp tool and done over with a black colour. Scratching the surface also ensured better colour retention. Later renderings (filling up the colour) with red ochre (Iron oxide from Haematite) and black was done. In the later phase (25000/20000 BC) other colours such as yellow and brown were added to the palette. In the initial phase dry colours were rubbed over the surface. In the later phase colours were ground with water and additives like blood, urine, eggs and animal fats. The additives improved the bonding, increased the viscosity (to prevent run off the surface) and reduced the drying time (allowing application and rendering effects). Learning also included: how to prepare intermediate shades (orange and browns), prevent algae like growth, avoid colours that fade over an age and moisture bleeding of colours and additives. Colours were mixed Calcium containing water or nodules to improve fixing. The colours were ground by rubbing them over a rough surface, and also through pestles and mortars. At Lascaux, some 158 different mineral fragments were found. Shells of barnacles and human skulls were used as containers for ground pigment pastes. Colour was applied by brushes, twigs and fingers. Colours were also put on by spraying through mouth and blow pipes made from bird bones, and by daubing with hands, fibrous pads and soft skins. Colours were sprayed over hands as the stencils to perhaps mark the participation or visitation. The distinguishing characteristic of water-colour painting is its translucency. The surface of the paper is visible through the thin water-colour pigments. It creates a veil-like effect that is very distinctive from the heavy and opaque painting in oil. Water Colour paintings have been created on papyrus, bark papers, plastics, vellum or leather, fabric, wood, and canvas. 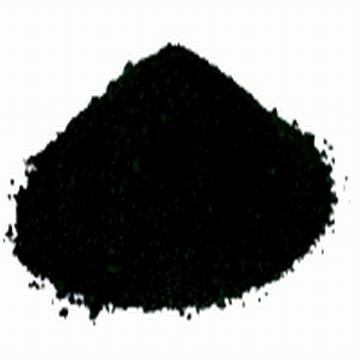 Black is one of the prime colours, used by humans. Red, though is very vivid and fascinating colour in the history. Red and Black have ethereal connection, and both seem almost indistinguishable in monotone perception. This was one of the reasons that in the black-white cinema era, heroines avoided red dresses and lipsticks. The infamous Psycho shower scene of blood, was shot with not red liquid but most palatable chocolate syrup. The BW movie Jezebel (1938 with cast Bette Davis, Henry Fonda, George Brent), based on Brilliant scarlet dress (outrageous) the heroine wore, was actually Brown in colour. It was a well-deliberated move. Was this the story of red colour in dark dimly lit cave paintings of Paleolithic age? Could they have perceived black from the red, when both of which were extensively used. Paleolithic painters had several sources of black, such as wood charcoal, bone charcoal, manganese oxide, in addition to the tonal variations caused by the surface binding mediums like water, tallow, fish oil, eggs, wax etc. The hue variations were caused by the direction, and intensity of the lighting torch or fire used to see the paintings. Black is the ‘strongest colour’ (or in scientific language the most remarkable absence of all colours of the spectrum). It was used as draft line of the figure, for highlighting the silhouette of the figure, in few instances for defining the colours’ edges, for containing and bounding the running colours of low viscosity. Paleolithic painters used black (and also other colours such as ochres and red oxides) to shade the artwork for tonal effects. The tonal variations served the purpose adding a depth dimension, for emphasizing the important segments of the composition, and only in later periods for light shading. Light shading with subtle use black was to indicate the direction of the source and often to the root of the magical power. Black has been a great additive to tone up (or down) other colours. It, however, is a very strong shade tinter, even better than the whites available in early periods. Black, true to its nature, would reduce the brightness (visual impact) of the colour, compared with the addition of the white. Black added colours contribute depth to the colour. By the time of Iron age, the technique of adding black to vary the tones became much less popular. This was mainly due to the availability of multiple shades of ochres, oxides, etc. Blacks of different origins were added to whites of various types (such as calcium carbonate, barytes, gypsum) to achieve vast range of greys for use in mural paintings. The most difficult part was how to reduce or alter the tonal quality of black? Addition of white reduced it to grey shade, a completely alienated entity of black. In painting, the lightness of a shade was adjusted through mixture with white or black, but now by adding a colour. This was done first by using black of different origin, than by mixing very dark colours such as red oxide, black iron oxide, dark amber, and by adding low opacity ‘white minerals’. When yellows, reds and oranges are mixed with small amounts of black, it can cause a change to very a different shade. Blacks, greys and other shades shift with the addition of black, often to a level that scared many seasoned artists and crafts-persons. The scare was more forbidding due to the metaphoric association with Gods, human behaviour and varied perceptual interpretations. Blacks of all origins, however, had one positive advantage that this was non fading or non destructible colours. Their tinting strength was fairly good and the perceptible shade was just ‘black’ with very few sub-variants. 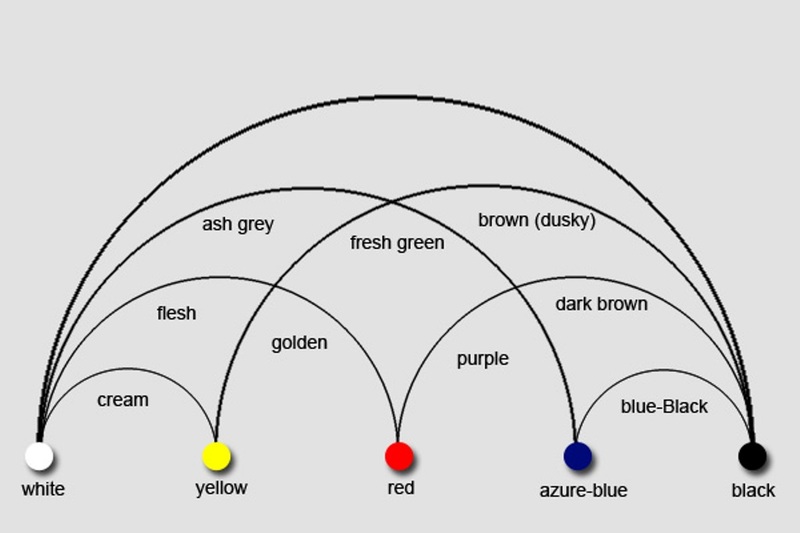 But its effect on other colours after mixing or through sheer proximity was extremely profound. Art teachers, have been telling their apprentices, juniors and students to keep away from black. The same advise still holds true even today. If you are an interior designer, architect or builder, do not play around with black, unless you have the capacity for course correction or complete redo. Blacks are very opaque, and have a very high tinting strength, so a small amount can cause devastating effect. The small amount is very ill-defined and difficult to measure a term, and thoroughly mixing it into a larger mass without industrial equipment, an impossible task. Artists can mix few darker colours and get away with a ‘black’ like effect such as ultramarine blue and burnt umber can do it. The impressionists remained away from black, and preferred to devise the ‘black effect’. In early 1920 Lacquers were considered industrial coatings, mainly used by White-goods and Automotive industry. Earlier to this period a Lac or Shellac coatings were wood craft finishing techniques and material. Industrial age lacquers were favoured due to their fast drying and non-yellowing properties. Clear Lacquers were increasingly replacing tin as MS sheet coating for food packing but were found suitable for aluminium sheets packing such as collapsible tubes and canisters. Lacquers were also used for the nail polishes and as hair fixing sprays. These lacquers as the name suggests were not made of natural Lac or shellac but from Nitro Cellulose. The lacquers needed thinners of various types for different application technologies and seasons. Oil paints based on Alkyd resins or GP Enamels need thinner of single solvent material such as Genuine turpentine, Mineral turpentine and in few instance Naphtha or superior grades of kerosene would work. These solvents singly can work for all application needs and for cleaning-washing post-painting work. With alkyd-based paints, a resin is the film-forming component. It is reduced in viscosity during the manufacturing and later during application. The requirements of solvent-s differ according to ‘length of the resin’ (which designates the proportion of oil versus other modifying-polymerizing agents, such as typically a phthalic anhydride). Short-oil length resins may require stronger solvents. A solvent that dilutes the viscosity alone may not achieve application level of viscosity. Some type carrier or diluent solvents are required which acting as a ‘carrier’ material help achieves application level (such as spraying) viscosity. The carrier solvents evaporate fast before the chain linking (and so film forming-drying) process starts at ambient temperature, raised or baking temperature or through a catalyst enabled reaction. The word Lacquer has become a misnomer. A Lacquer in nominal usage means a coating system that is fast drying, tougher and non-yellowing. All lacquers, however, are not NC (nitro-cellulose) lacquers. Other Lacquer coating systems formulations are based on Acrylic resins, Amino resins, Urethane and epoxy systems. NC lacquer dries with evaporation of solvents, at ambient temperature or often in warm chambers. Other formulations require baking-stoving environments or have two-pack system (a catalyst and paint mixed just before application). A NC lacquer film can be wetted-dissolved after drying (such as Nail-polishes of pre 1965 era) by a thinner, and are called ‘non-convertible systems’ (product that does not get chemically converted into something else). But newer generation-lacquers cannot be dissolved or removed easily after drying, and are called ‘convertible systems’ (product that gets chemically converted into something different). All types of Lacquers, convertible or non-convertible products require very specific type of thinner. A company that formulates the paint system, for reasons of Patent knowledge, may not reveal the exact formulation. So it is very necessary to use the thinner specified by the manufacturer. A thinner is a combination of different solvents. There are two important considerations, action of dissolving and diluting (acting as a carrier), and evaporation rates of the solvents. A Lacquer system may need as much as 75% or more thinners for spray like application. But after the deposition on the surface, it does not require such low viscosity. So some solvents (usually diluent or carrier) begin to evaporate very quickly. Some other slower evaporating solvents, allow time for film to level out. A lacquer-thinner is a combination of solvents of basic Five groups. First group consists of latent solvents like Toluene, xylene and naphtha. The other three groups are of active solvents such as, ketones, esters, glycol ethers. Alcohol, though a latent solvent, in combination with other solvents plays an active role. Lacquer thinners are affected by the weather and process of application. A normal thinner works for average temperature-moisture conditions. For very wet, windy weather and for brushing or manual polishing with a cloth bundle, reduced the rate of evaporation achieved by adding or using a ‘retarder thinner’. For spray like application, an accelerated rate of drying is possible and for this accelerator or fast lacquer thinners are used. Spray applications require more and faster drying thinner compared to wood lacquers that require less and slow drying thinner. Shellac finishes were the first true clear coatings. Shellac is an insect exudate known as stick lac. Stick-Lac is refined to remove impurities and lighten its colour. Button-Lac is a manually purified is of darker colour, while machine purified shellac is often dewaxed and de-colourized. Shellac is soluble in methylated spirit or alcohols. Sankheda furniture and Chinese lacquer items are examples of shellac coatings. Shellac is a very effective coating material even in very thin viscosity, as a result its penetration and filling capacity is excellent. It is eminently recoatable so a very level and glossy surface is possible. Coatings are thin surface finishing techniques. A thin film is achieved by using a material that is in a liquid state or is convertible into a liquid phase. A coating may or may not have a colourant, but on drying achieves various degrees of transparencies. Coatings are applied to entities to alter the appearance, improve the tangibility and to provide a protective cover. Historically, however, coatings have been used for illustration and decorative effects. The discovery of mixing dishes suggests that liquid pigment mixed with fat was also used and smeared with the hand. The subtle tonal gradations of colour on animals painted in the Altamira and Lascaux caves appear to have been dabbed in two stages with fur pads, natural variations on the rock surface were exploited to create the effects of volume. The simplest way of marking cave walls was to make finger-traces in the soft layer of clay covering the rock. Lime stone walls were engraved and filled in with iron oxide (hematite, or ochre), or the black pigment as manganese or charcoal. These materials were usually available locally. Analyses of pigments, reveal the use of extenders such as talc or feldspar, to increase the bulk of pigments. It also shows traces of animal and plant oils, used for binding. The pigment in paste form was applied with fingers, and also tools like animal-hair brushes or crushed twigs. Lumps of pigment discovered on cave floors may have been used as crayons, but since they do not mark the rock well, they were more likely to be sources of powder. Colour was often sprayed, from the mouth or through a tube. A network of ladder, supports and scaffolding was used to reach the ceilings and upper portions of walls. Light was provided by hearths, or portable burning torches. Primitive coatings were daubing of clays, minerals, charcoal, lamp blacks often mixed with mediums such as water, tallow, vegetable excretion and juices, urine, blood, bitumen. Binding mediums were employed to fix the mineral or colourant particles on the surface. Some of the binding mediums were evaporative and worked only as a `leveller’ for particulate matter. By 6000 BC, in China, calcined (fired) mixtures of inorganic compounds and organic pigments and binding mediums (vehicles) were prepared from gum arabic, egg white, gelatin, and beeswax. Some oily mediums though superior in fixing and longer lasting, but collected dust on aging. Oil mediums became darker in colour due to oxidation, or just peeled off. Some of the mediums were destroyed due to fungus and algae. Later little more complex substances such as starches of rice and maize, pine wood extracts, egg albumin, bees wax, hydrated limes, gypsum, etc. were used. There are basic TWO sets of Arts. Fixed arts are built-forms, wall murals and architectural embellishments. These could have been part of either exterior and interior environments. Portable arts, comprise of objects or artefacts. These usually remained in protected environments. Fixed arts were largely painted and scratched or engraved, but portable arts had, at least in initial periods, natural finishes by way of selection and production processes. Portable arts consist of wide variety of object forms and material combinations. Compared to the fixed Arts the objects are smaller in size. The portable objects show all, the surface treatments, embellishments and coating applications. The objects of this category show greater integration of all the three interventions and greater detail or involvement. Large number and wide variety of objects have been preserved and recovered even from regions where Fixed Arts entities have not survived. Portable arts’ objects are smaller and personal hobby or a family craft creation. The colour and surface quality were matter of choice or discoveries through innovation in production. Fixed Arts entities that have survived are surface treatments or renderings through show painting, scratching, engraving and daubing methods. On the other hand, the surviving built-forms, if considered as art-forms, represent technological milestones of material handling, supporting and construction planning. Fixed arts were large scale or important societal activities, involving entire community by way of voluntary participation or forced labour. The involvement of the community was for seasonal or occasional rituals. The leader, conductor or priest of the ritual and the team were the select few experts who initiated and updated the (art) entities over and over again. Such art-forms indicate occupation or interventions of several generations, as much as for more than 300 years. Portable Art objects are incidental that is the availability, shape, size, colours, texture, etc. define the range of treatments. Many times the purpose it will serve evolves during the process of treatments. Such objects show material combinations. many different finishes were achieved, by change of forms and exploiting the tools. Material processes like heating, singeing, sintering, baking, beating, shaping, cutting, chopping, grinding, drilling, etc., were also used in farming and cooking. It was one seamless manner of learning. The materials were stones, precious stones, metal nodules, mineral and other colourants, woods, grasses, twigs, hides, leathers, skins, furs, hairs, shells, teeth, horns, bones, ivory, raw clay objects, baked clay ceramics, seeds, fruits, etc. The objects formed were totems, body adornments, tools, implements, ritual and burial objects, cooking utilities, toys for children, amenities and dwelling embellishments. These were exchanged, gifted to others or offered in rituals. The objects began to have consistent expressions. The varied metaphors, passing from one generation to other, ultimately became abstract. Coins, plaques, seals, etc. represent multiple conversions of expressions like a language. Fixed Art objects like built-forms, though functional utilities were built for community and for political purposes. The public use entities were irrigation facilities, forest clearance, dykes, bridges, walks or passages, drinking water resources, community surround structures, security amenities and storage arrangements. These were not ‘decorative arts’ but symbolized technological innovations. Some like burial stones and dolmen had items of personalization. Fixed Arts objects like wall arts show skills of surface preparation, rendering or painting and surface finishing. These creations also show art of surface preparation by way of grinding, etching, daubing, engraving and colourant application. Wall-arts exist in odd narrow corners, at very high elevations, tall ceilings, day time dark corners and in nearly inaccessible places. The effort must have required support structures, bridges, scaffolds, illumination and ancillary works to protect the creations from moisture.